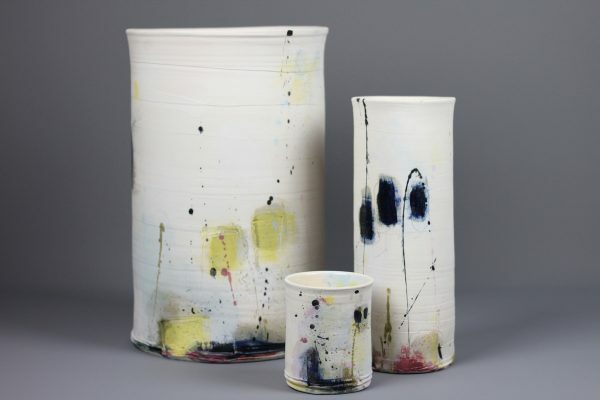 The interplay between surface and form, the ways in which colours exist side by side provide infinite ways of how clay can be transformed into rich, visceral and personally expressive individual statements. Intuitive mark making and clay manipulation, combined with careful deliberation on familiar form, provides a satisfying making process; allowing for the spontaneous to sit beside the considered. This builds an exciting visual language open to personal interpretation.